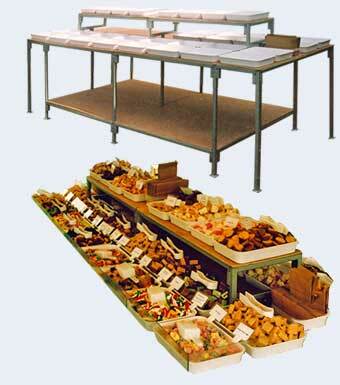 Many customers who contact us already have very specific requirements for a Market Stall which sometimes can't be met by our standard Market Stall range. If this is the case we can manufacture Bespoke Market Stalls and other steel fabrications to meet these unique requirements. Our three decades of Market Stall Manufacturing experience together with our interaction with Market Traders and Market operators in the flesh on Markets all over the country on a daily basis give us crucial insights into what works in a Market Stall design and what doesn't and we're always more than happy to discuss specific design requirements with you to help develop your own solution. We take a variety of approaches to designing and manufacturing Bespoke Market Stalls and other steel fabrications depending upon the customer and their ideas. If, for instance, you already have a very specific design idea we can manufacture your Market Stall or steel fabrication to your own design. If you have a rough idea of what you'd like but want to discuss how your ideas could be turned into a complete design we can work with you to develop an ideal solution. Alternatively, if you have specific requirements but no design in mind you're more than welcome to provide us with a brief to which we can produce a Market Stall to fit your requirements. Rest assured, however basic or complex your ideas you can be safe in the knowledge that you're dealing with true Market Stall Manufacturing experts and the fabrication you come away with will be of the highest quality and design, as is expected of all our Market Stalls, Market Stall Equipment and other fabrications. 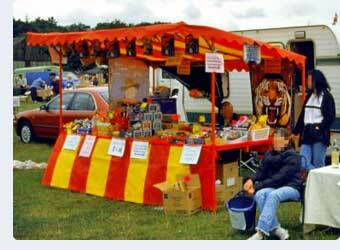 We recommend that you read our article Designing Your Own Market Stall. Photo at the top of this page courtesy P Lawrence.